For all you golfers out there, this is the place to pick up any of your needs for the quality you deserve. There are over 4000 items at Carl’s for men and women. Just buy now and come back later for more when you see the great things that are here. The all new Titleist Pro V1X Golf Balls continue to be the #1 ball on tour, year after year. This incredible distance ball gives you the height with the lowest spin available. the drop and stop around the green, makes this ball very consistent and easy to control around the greens. This ball is ideal for players who spin the ball to much, but are looking for more height and lower spin off the tees. This TaylorMade M1 Driver 2017’s price has dropped. It features an all new T-track system with more weight and a longer track for a further adjustability. The 6 layer carbon crown allows for a lot of saved weight in the head for a lower center of gravity for a higher launch and longer carries. this driver features a carbon toe-panel for even more weight savings. This company was started by Carl and Donna Rose in 1958, in Pontiac, Michigan. Over the last 55 years, they were able to provide customers, with over 4000 products in equipment and apparel. They also give private lessons. In 2010, they were the only off-course retailer to be named Golfworld’s 100 Best Golf Shop. Since their inception, they moved to Bloomfield, Michigan in 1962. The building at that time was 750 square feet and have expanded over the years to 43,000 square foot of store and a 15 acre, world class practice facility. Their Motto Today is: ” Because When All You Do Is Golf, You Do Golf Best”. Take 20% Off Select Men’s and Women’s Puma Golf Apparel at CarlsGolfland.com! No Code Needed, Discount Shown In-Cart. 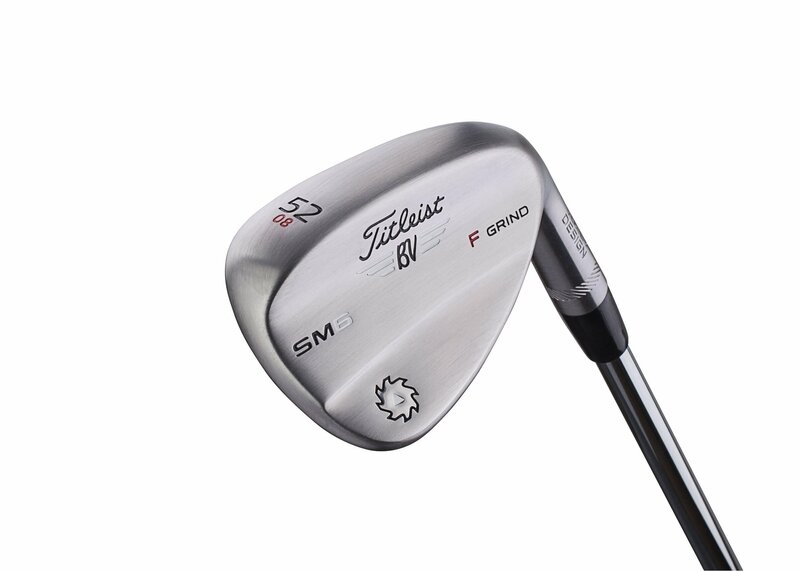 Titleist’s Vokey SM6 Raw Wedges are finally available in the tour’s preferred finish: Raw. This way the Raw finish reduces glare and rusts over time, which increases the wedges spin capabilities. Also the Raw finish allows Tour Pro’s to customize the wedges exactly to their specs. Bob Vokey is the legendary wedge designer. These new designs are based on 3 new areas of the wedge game: Spin, Shot Versatility, and Distance Gapping. The new TX4 grooves feature a parallel face structure and are 100% inspected to produce maximum spin and the best greenside control. Perma Soft Golf Gloves Are Our Lowest Price Ever PLUS Free Shipping at CarlsGolfland.com. CarlsGolfland.com – Browse from over 4,000 Golf products in-stock at CarlsGolfland.com! Looking for a Gift? Carl’s Golfland has a Wide Variety for Under $100 Now Available at CarlsGolfland.com! No Code Needed. Huge Selection of Gifts Under $20 Now Available at CarlsGolfland.com! No Code Needed. In 2000, Carl’s Golfland opened a 2nd retail store at St John’s Golf and Conference Center in Plymouth, Michigan. This outlet is a showplace among all the retail gulf stores around the country. This site also has a full practice facility. “Carl’s Golfland at St John’s ” features a 27 hole golf course, full conference center and world – class hotel. Carl was introduced to the sport at a young age by his father. This is why he has started the 1st club for kids program in 1998. Any parent can bring their child (under 15 or younger) to this location and receive their 1st golf club, FREE OF CHARGE. To date they have given out over 20,000 clubs. In 2012, the Bloomfield Hills Store received a facelift by adding on space because of the growing customer demand for performance fittings and stock products. Also in 2012, they opened the “Launch Pad”. This is a 3000 sq. ft. fitting center, having a player’s lounge and 4 state of the art fitting suites. Carl’s Golfland is the home of 4 Trackman Certified Fitters! In 2011 , both locations were named to the 1st ever Golf Digest Top Club Fitters in America. Carl’s Golfland also opened a 15,000 sq. ft. warehouse in Bloomfield Hills to meet the growing demand of their customers around the world. 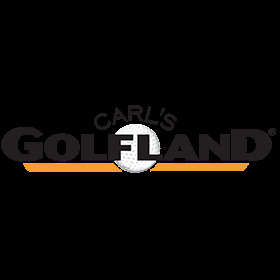 Carl’s Golfland prides itself on offering only top of the line equipment and apparel. Carrying the largest selection at the guaranteed lowest prices. Carl Rose, a PGA life member is still active in the business. 1 – Over 4000 products to chose from. The new Adidas Womens Adipower Boost Golf Shoes are designed with the all new tour performance. For improved fit and to feel better on your feet, they have incorporated the most up to date technology. If you are planning to walk the course a lot, this is the perfect shoe for you. Adidas Women’s Adipower Boost Golf Shoes have a spikeless pure motion outsole that can be worn on and off the course. The Cleveland 588 RTX 2.0 Tour Satin Wedges are the most popular wedge design head in the history of golf. this 588 RTX wedge offers incredible distance, control and increased spin with RTX 2.o laser milled grooves. This means you can hit those 1/2 to 3/4 speed shots and see more green stopping ability. Cleveland 588 RTX features multiple lofts and bounces for all kinds of shots and playing conditions. If you would like to leave your Contact Information at the top of the Post, we would be happy to send you all the update this store would have all during the year. Please leave comments on the page below. I would like to know your preferences.